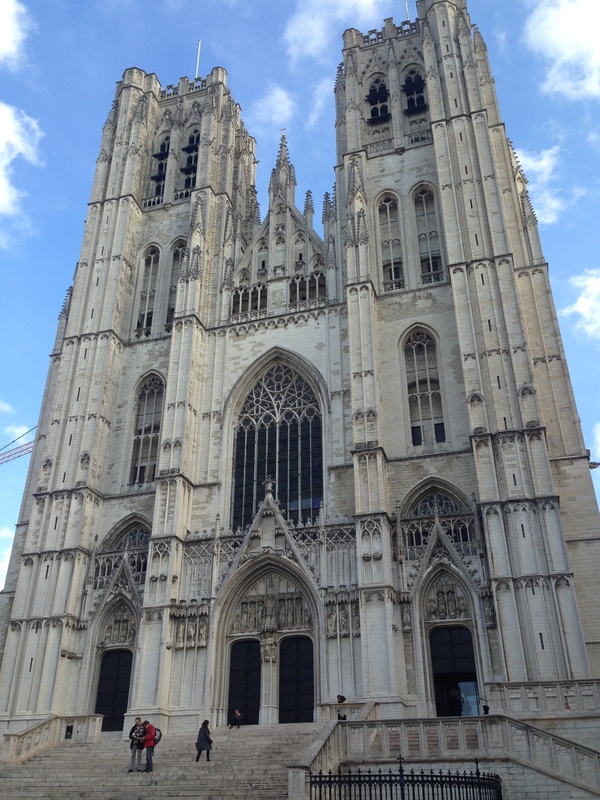 I took an early MegaBus from Paris to Brussels, getting to Hostel Grand Place around midday and relaxing for a bit after lugging my stuff up the stairs (the elevator was under maintenance, of course). It was the first time I’d stayed in a hostel since Croatia and my first time staying without someone I knew around since Belgrade (Sept. 25). It’s always exciting to go somewhere by yourself, but I had really enjoyed traveling with fellow backpackers and new friends. Taking a tip from the hostel receptionist, I headed to a restaurant called Chez Leon for moules frites (mussels and fries), a traditional Belgian specialty that I often enjoy in the states. The tip was actually not great, and the mussels weren’t anything to write home about. 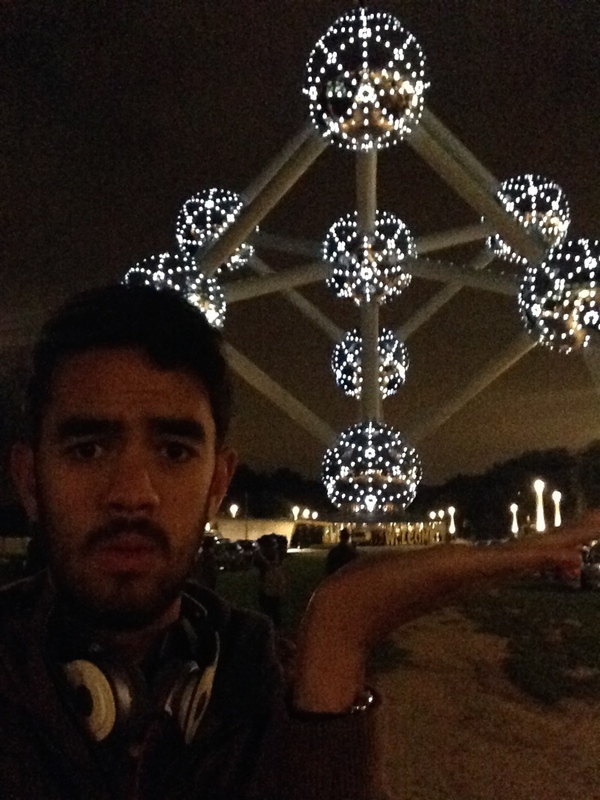 Unfortunately I would not get the chance to have more during my time in Belgium. I went to bed early on my first night, but not without watching a few episodes of “Mad Men” in my bed. 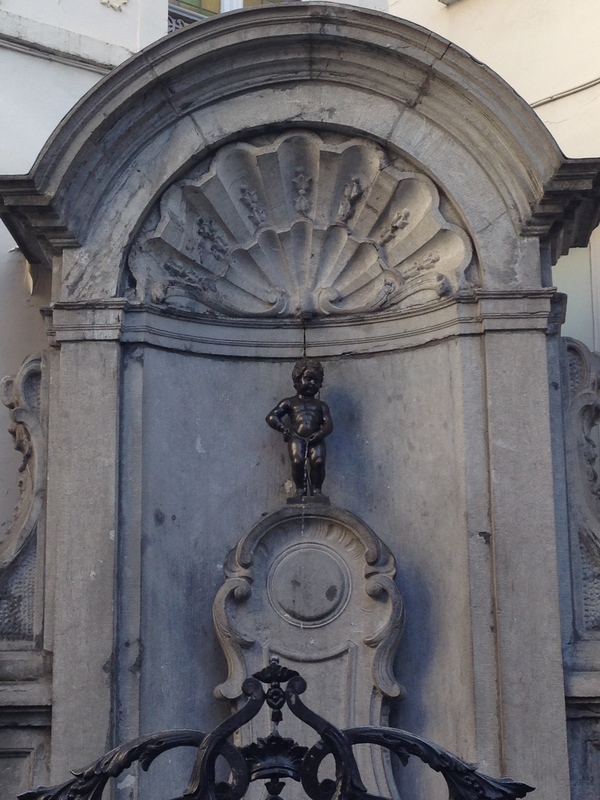 I woke up semi-early on my first full day in Brussels to catch a walking tour, which I think was my tenth of the trip. It was relatively interesting, although the guide suggested a place for “the best frites in Brussels” in a “really cool square” that happened to be a 20 minute walk out of downtown. First off, the place was closed between 2 and 6, and second off, the square was dead and likely is only happening at night. A large group of people from the tour left the square annoyed, myself with a girl I met on the street who knew a guy I interned with last summer. I’ve been meaning to contact the tour guide (who had only started a week before) to tell him to stop suggesting that place post-tour since I’m sure the same thing happens to dozens of his tourists. Maybe someone has already done it – I’ll just go with that. The girl I met and I headed to a restaurant the guide suggested, which was also closed, and finally back to a frites place near my hostel by the Grand Place. We went to the grocery store afterward to find chocolate, since “Belgians actually buy most of their chocolate at grocery stores,” but we couldn’t find anything we wouldn’t see at any European grocery store. We decided to cave in and go to a nice chocolate shop, Neuhaus, and pick up some truffles. Her card wouldn’t work, so she went back to her hostel to contact her bank and we parted ways for good. I headed back to the hostel to try and meet some new friends – I was keen on going to some bars that night, namely the famous Delirium with its world record number of beers. Three American girls walked in who I’d seen at reception earlier in the day, so I struck up a conversation and told them I was alone and was seeking company. They wanted to rest a bit but were planning on going to the bars later. I told them I would be hanging out in the lobby until then so I would catch them on their way out. One of the girls came down maybe an hour or so later to me conversing with another American who had been teaching in Madrid. The three of us headed out for some cheap, mediocre Chinese food before picking up one of the other girls from the hostel. We headed to The Big Game for €1 beers before heading to another called Celtica for even more happy hour drinks. We met the third of the girls there – she wanted to nap a bit longer than the others. We were really enjoying our beers – I mean Belgium is known for that – and were getting more and more friendly with each other. 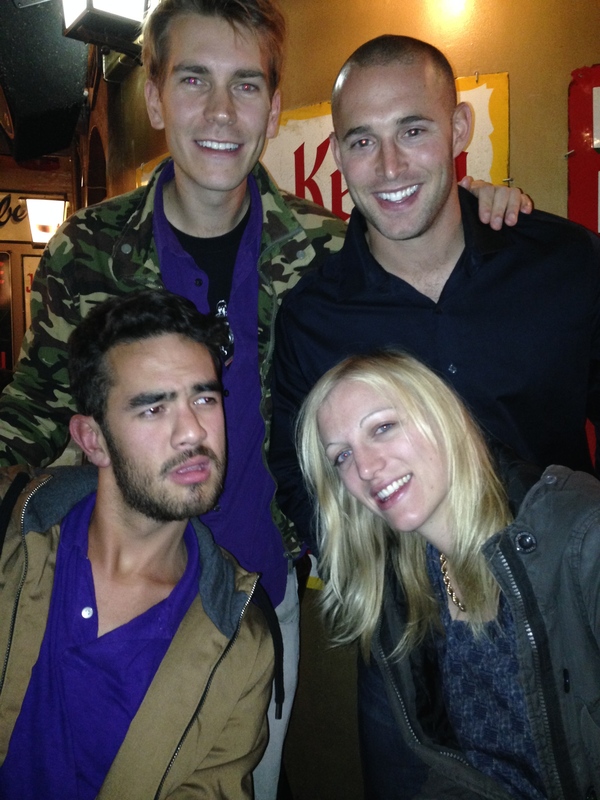 Eventually I befriended a British couple at the bar and invited them to head to Delirium with the group. 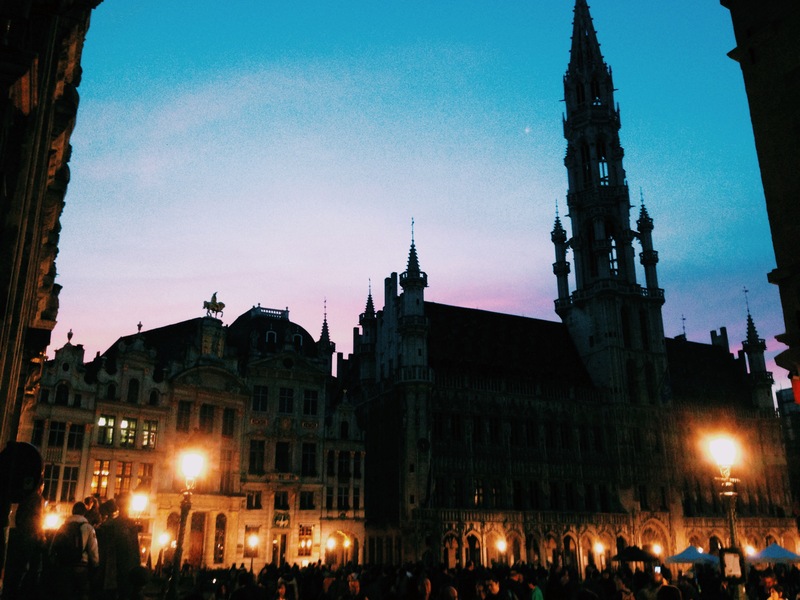 We tasted our way through some more Belgian beers and finally it was time for me to go home. I got all of their contact information, but I would only see the British couple the next day. I woke up the next day earlier than my body would have liked to head for the European Parliament. My flatmate Connie’s mom is an MP from Portugal and had her assistant take me on a tour around the offices. Unfortunately, the MPs were all on a week where they go back to their home countries to do work, so there wasn’t a lot going on. Nevertheless it was cool seeing the modern office buildings and chatting about the European economy and Russian aggression (and the potential effects on each other, especially with winter coming). I walked back from Parliament to my hostel to take a long, well-needed nap. I briefly left the hostel to eat some frites and these boiled snails from an established streetfood stand called Jef & Fils, and then promptly went back to the hostel and probably watched some “Mad Men” before realizing I should do some more tourist things and headed to the Atomium. The Atomium basically Brussels’s Eiffel Tour and is a giant model of a unit cell of an iron crystal made when the 1958 World Fair was held in Brussels. It was pretty impressive, maybe even more so than Eiffel, and I made the long journey back to my hostel after admiring its towering atoms. Back in the hostel, I met a DC-native named Gaby, who I invited to go to Bruges with me the next day. We talked a bit – I found out she worked at a popular student bar that I was familiar with – and then I headed to meet up with my British friends for more drinks at Celtica. We had a long chat with a Swedish guy living in Brussels and then called it a night probably around 1 am. 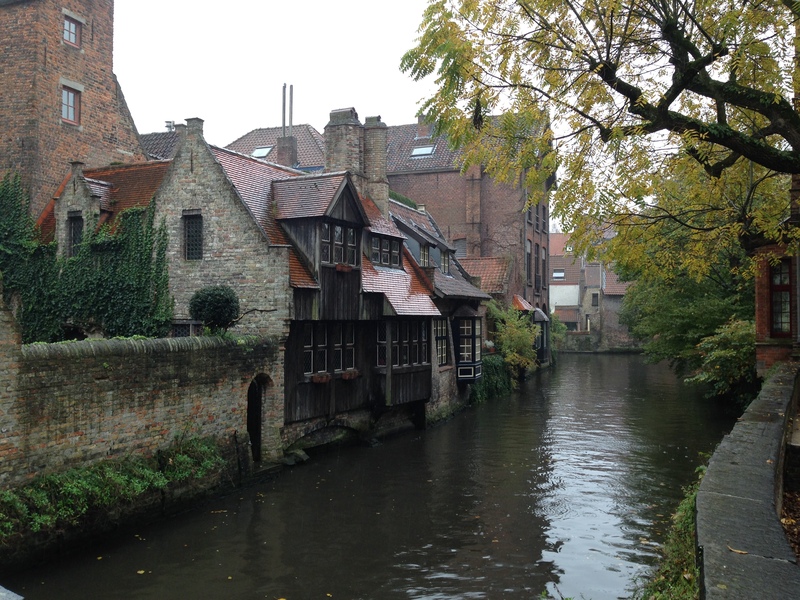 The next day, Gaby and I headed to Bruges, eating a traditional beef stew and frites (I literally ate frites at every meal, many times the only thing I ate for my meal) for lunch and then wandering around the town. We bought chocolates at a famous storefront called The Chocolate Line (you have to go there if you are ever in Bruges), though I made the mistake of letting the salesman, a teenager younger than me (the rest looked like old pros but were busy helping others), choose my chocolates. The fruity ones were not up my alley (very tart), but the marzipan-filled chocolates were some of the best chocolates I’ve had. Gaby and I grabbed a drink at a backpackers bar in the town before getting the train back to Brussels, where we ate a dinner of *surprise* frites and went down early since we both had trains to catch in the morning.